Whos Is MMOViper and What Do We Do? What is ViperBot you ask? Well, it is the BEST automated bot for Final Fantasy XIV: ARR Bot, FFXIV Bots, Neverwinter Online, NWO Bots, Guild Wars 2 Bot, GW2 Bots, Aion Online, Runes of Magic, Warhammer Online, Star Wars the Old Republic, Lord of the Rings, and More ever! If you are tired of sitting in front of the game screen, grinding out level after level and not being able to get out and do something else because all of your friends will have left you behind in levels. Then you NEED the MMOViper Software! All you have to do is set it up and it will grind away level after level all by itself, leaving you time to sleep, play another character, go to the movies, or just relax. MMOViper NEVER has to eat, sleep, drink, or go to the bathroom!! So how does it work? With MMOViper you can record keyboard and mouse clicks and interactions and then have them played back. 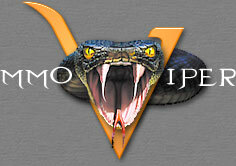 The Viper software is very intuitive, and can calculate automatically your location in the game world. So if you record a path from one location to another. When you play back this recording, the MMOViper software will follow exactly the steps you took and repeat exactly what you recorded. MMOViper not only gives you an amazing peice of software that works with multiple games but with almost every game we support you get full access to our premium member forums. This is not an extra price its included in your MMOViper subscription. Also unlike other sites that you have to pay 30 bucks here and 30 bucks there for different features MMOViper is an all in one solution. You make one fee and you get access to everything we have. That includes all future updates, forums, and user submitted contributions that are added to the site. No more waisting money on one product only to waste more on another a few weeks down the road. Recent Site And Game Updates.